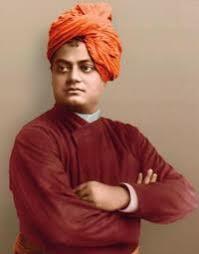 One of the greatest seers and philosophers that modern India has produced is undoubtedly Swami Vivekananda. 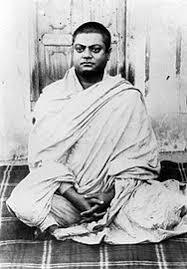 Born as Narendra Nath to a well-to-do family in Calcutta in January 1863, he showed an unusual inclination towards spirituality right from his childhood. He was lucky to have met Sri Ramakrishna who was impressed by the intelligence and keenness of Narendra in asking questions of spirituality and divinity. Sri Ramakrishna encouraged the precocious boy, gave him the name Vivekananda and asked him to spread the word of peace, harmony, joy to the world. Vivekananda considered Sri Ramakrishna his spiritual master and determined to follow his Master’s wishes with devotion, determination and zeal. At Ramakrishna’s temple, some people came to know that a Convention was being organised by the Parliament of Religions in Chicago in USA on 11 September 1893. To the amazement of the young monk who was now known as Swami Vivekananda, it was decided that he would have to go to Chicago and talk about the spirit of Hinduism and how it could help in creating love and goodwill among peoples divided by suspicion, hostility and violence. When asked how it was decided that he was to represent India at the Convention in Chicago, Vivekananda simply answered, ‘It is God’s will’. His journey started from Bombay (Mumbai) a few months before the stipulated date. Writing about his journey to America, which is now published in a book entitled ‘Swami Vivekananda on Himself’, he has briefly described his journey from Bombay to Colombo, Malaysia, Singapore, Hong Kong and then to the port of Nagasaki in Japan; from there he went to Kobe and then taking the land route he reached Yokohama. There Vivekananda was surprised to see Sanskrit mantras in the several temples he entered and where he paid his obeisance. Finally, he reached Vancouver in Canada and there he writes about the cold he felt in the ochre robe he was wearing. He briefly describes his journey from there to different parts of Canada and America till he arrives in Chicago a few days before the start of the Convention. After trying to somehow cope up with the lack of money and proper accommodation he met a few people who helped the young foreigner to adjust to the American life. He also met a Lady Superintendent of a women’s prison in Chicago and was surprised to see that it hardly looked like a prison — it was more of a reformatory where the inmates were being benevolently treated. Finally it was 11 September— the day he was to be at the Convention of the Parliament of Religions. Not only did he receive these laudatory words, he was invited by a few organisations to speak there for which he was also paid some honorarium. Vivekananda was overwhelmed by the kindness of many people and felt much more at ease than when he first landed in this great country. In fact he stayed there for some weeks and earned enough to travel by ship to England before returning to India. The world is witnessing bigotry, fanaticism, military interventions, bombings and violence that Swami Vivekananda had warned of in his stirring speech 125 years ago in Chicago, a place where no Hindu monk had gone earlier. He had preached the doctrine of brotherhood, understanding and love to the hundreds of people who heard him at the Convention and later in different talks that he gave, not only in America, but also wherever he went. His words, kindness and simplicity themselves were a token of his spiritual bent of mind and life. Today we see his statues adorning many parts of India conveying his ideals of justice and humanity. We remember Swami Vivekananda on this auspicious occasion with love, hope and warmth. Anticopyright: Editorials and articles originated on TMS may be freely reprinted, disseminated, translated and used as background material, provided an acknowledgement and link to the source, TMS: Swami Vivekananda: 125 Years after His Stirring Speech in Chicago, 11 Sep 1893, is included. Thank you. Your article is very timely, as we approach Sep 11. Not only must we pause and reflect on the US attack where hundreds of innocent people lost their lives but also think of nation building efforts channeled through the words of Swami Vivekananda in his remarkable speech. It impacted many in a positive way and continues to do so. Let’s hope we have more of such Saints (like him) and Scholars (like you) who the time to educate others. A very well written and highly informative article about Swamiji with particular reference to his Chicago speech. Good that it came at the most appropriate time. Hope your sagacious recapitulation will illuminate the mind of readers, particularly young ones who need it in times of misinterpretations of the term Hinduism and Hindutva.Good luck.